All Dani Boatman wants is to manage her baker and look after her beloved orphaned niece, Constance. 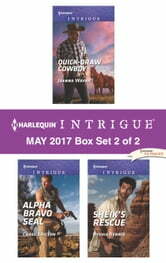 But when someone threatens to take Constance away, it's cowboy Riley Lawrence who rides to the rescue. After Navy SEAL Slade Gallagher saves her from Somali pirates, documentary filmmaker Nicole Hastings thinks the threat is over. But when terrorists follow her to New York City, the SEAL answers the call to duty. Zafir Al-Nassar isn't only the joint head of Nassar Securities, he's a flirt and a tease. With a Moroccan royal's life on the line, agent Jade Van Everett is determined to prove herself even as the tension between her and Zafir takes a turn toward seduction. 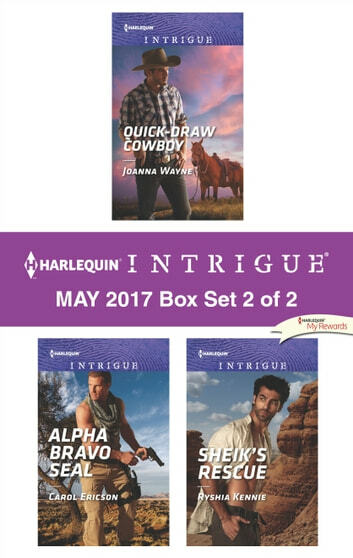 Look for Harlequin Intrigue's May 2017 Box Set 1 of 2, filled with even more edge-of-your seat romantic suspense!